Your doctor will ask questions about your medical history, your injury, and your pain. 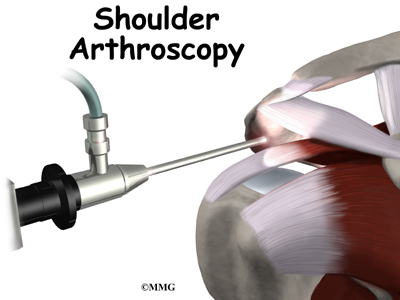 Your doctor will then do a physical examination of the shoulder. 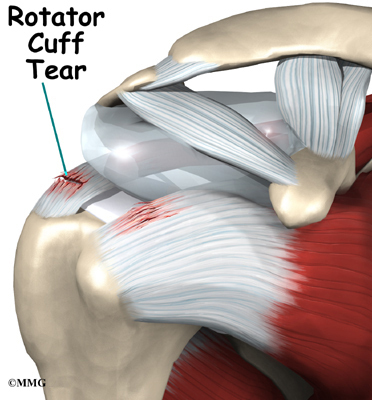 The physical exam is most helpful in diagnosing a rotator cuff tear. A complete tear is usually very obvious. 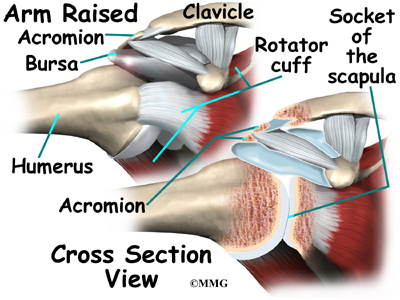 If your doctor can move the arm in a normal range of motion, but you can't move the arm yourself, you most likely have a torn rotator cuff. Your doctor's first goal will be to help control your pain and inflammation. 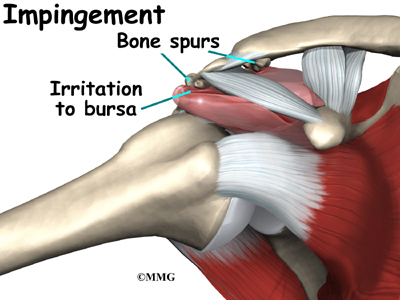 Initial treatment is usually rest and anti-inflammatory medication, such as aspirin or ibuprofen. This medicine is used mainly to control pain. 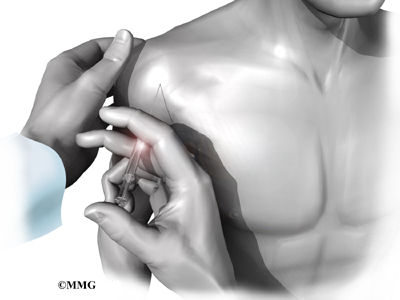 Your doctor may suggest a cortisone injection if you have trouble getting your pain under control. Cortisone is a very effective anti-inflammatory medication. Your doctor will probably have a physical or occupational therapist direct your rehabilitation program. At first, treatments such as heat and ice focus on easing pain and inflammation. Hands-on treatments and various types of exercises are used to improve the range of motion in your shoulder and the nearby joints and muscles. Later, you will do strengthening exercises to improve the strength and control of the rotator cuff and shoulder blade muscles. 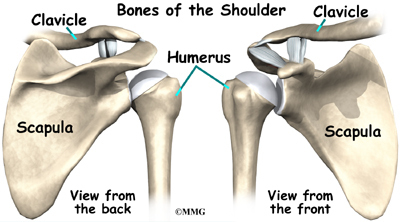 Your therapist will help you retrain these muscles to keep the ball of the humerus in the socket. This will help your shoulder move smoothly during all of your activities. 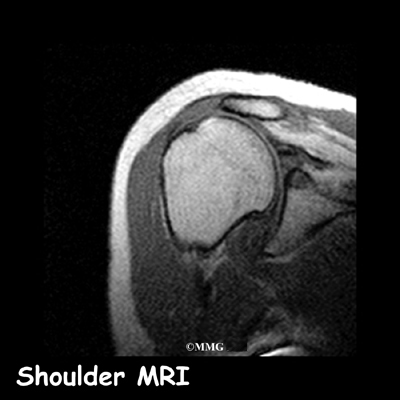 Today, the MRI scan is the most common test used to evaluate the shoulder and determine whether surgery is necessary. 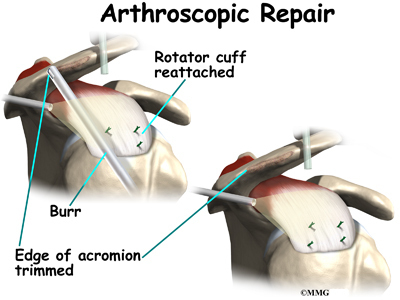 Your surgeon will be looking for details of your rotator cuff tear and checking for other problems. As mentioned earlier, a tear usually doesn't occur unless the rotator cuff is already weakened by some other problem. 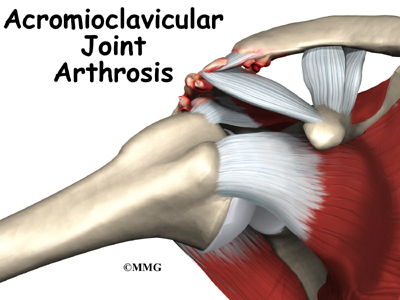 Other potential problems include acromioclavicular (AC) joint osteoarthritis and impingement syndrome. Your surgery may need to address these conditions as well. Suture anchors are special devices that have been designed to attach tissue to bone. In the past, many different ways were used to attach soft tissue (such as ligaments and tendons) to bone. The usual methods have included placing stitches through drill holes in the bone, special staples and screws with special washers â all designed to hold the tissue against the bone until healing occurred. Most of these techniques required larger incisions to be able to see what was going on and to get the hardware and soft tissue in the right location. Today, suture anchors have simplified the process and created a much stronger way of attaching soft tissue to bone. 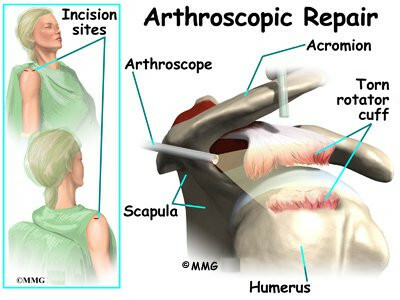 These devices are small enough that the can be placed into the appropriate place in the bone through a small incision using the arthroscope. Most of these devices are made of either metal or a special plastic-like material that dissolves over time. This is the âanchorâ portion of the device. 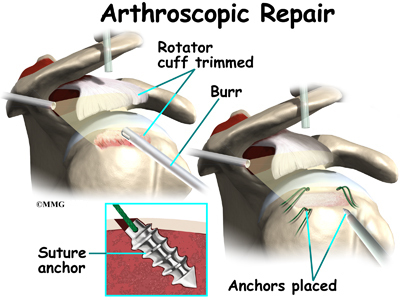 The anchor is drilled into the bone where the surgeon wished to attach the soft tissue. Sutures are attached to the anchor and threaded through the soft tissue and tied down against the bone. Even if you don't need surgery, you may need to follow a program of rehabilitation exercises. Your doctor may recommend that you work with a physical or occupational therapist. Your therapist can create an individualized program to help you regain shoulder function. This includes tips and exercise for improving posture and shoulder alignment. It is also very important to improve the strength and coordination in the rotator cuff and shoulder blade muscles. Your therapist can also evaluate your workstation or the way you use your body when you do your activities and suggest changes to avoid further problems. Active therapy usually starts six weeks after surgery. You use your own muscle power in active range-of-motion exercises. You may begin with light isometric strengthening exercises. These exercises work the muscles without straining the healing tissues. Formal strengthening exercises will be delayed until 12 weeks. 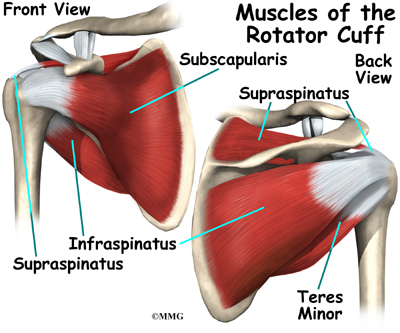 Exercises focus on improving the strength and control of the rotator cuff muscles and the muscles around the shoulder blade. 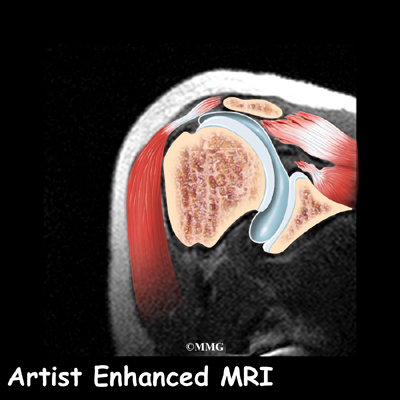 Your therapist will help you retrain these muscles to keep the ball of the humerus firmly in the socket. This helps your shoulder move smoothly during all your activities. 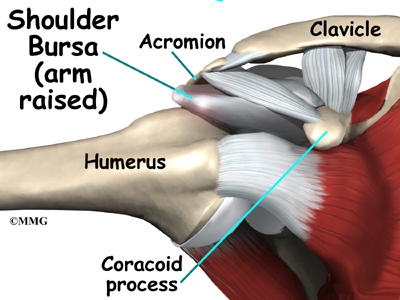 If all of these efforts to improve your shoulder condition fail, there are a few other options. 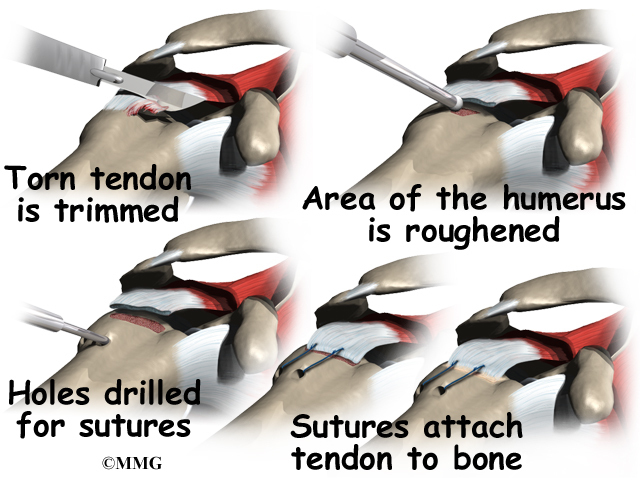 Tendon grafts and muscle transfers, for example, may help you regain use of your shoulder. However, these procedures are very complex and are rarely necessary.